The Witcher Movie Announced for 2017 | Nerd Much? As expected, the success of this year’s The Witcher 3 has piqued the interest of a new The Witcher movie, which we’ve just learned is coming in 2017. The Witcher movie will be based on Andrzej Sapkowski’s series of novels, and will be produced by The Sean Daniel Company, which was also responsible for The Mummy series. 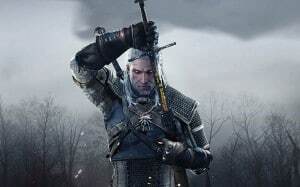 The movie will focus on a story revolving around Geralt of Rivia, but it will be a new story that hasn’t been told in the novels or the games. Instead, the Witcher movie will follow “themes” of the short stories The Witcher and Lesser Evil from the The Last Wish collection. According to the press release, the film is expected to be the first in a series of films. The film will be directed by oscar-nominated director Tomasz Baginski, whom gained acclaim with his animated short, The Cathedral. But, probably even more exciting, is the fact that the first film will be written by seasoned writer Thania St. John, who even has a Buffy the Vampire Slayer episode under her belt. We’ll also note that the release made an interesting note that says Thania is “working on the script as well as on its film and television continuation.” This leads us to believe that a TV series might also be on the way, although the wording isn’t clear. Of course, back in May, I suggested that The Witcher 3 could spark a new Witcher movie, and although I hate to say I told you so, I told you so. What do you think? Could a Witcher movie or TV series do well? Sound off in the comments below.